The technique basically splits your time into 25 minute intervals, with short 5 minute breaks in between each interval. The idea though, is to pick a task before you start a pomodoro and then focus on it for 25 minutes straight without any distractions. This means, no Facebook, Twitter, answering phone calls, nothing. After the 25 minutes are over, you get a 5 minute break where you deliberately not think about your task at all. This is the time you should spend surfing the web and returning phone calls and messages. Then, you start another pomodoro cycle. Decide on the task to be done. Try to estimate and pick tasks that should take around 25 minutes to complete. 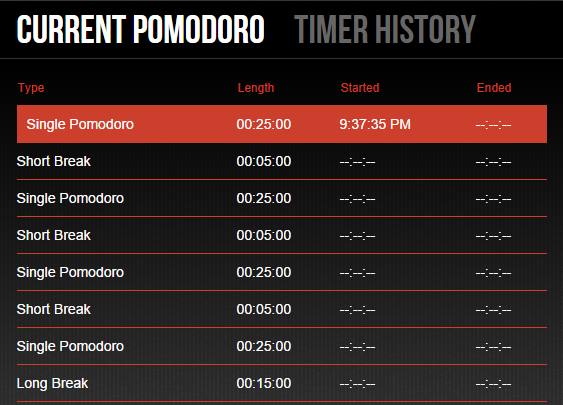 Set the pomodoro timer to n minutes. This n is usually 25 minutes, but can be changed due to personal preference. Take a short break. 5 minutes is usually recommended. This is the time you should use to procrastinate a little bit. After four Pomodori, take a longer break (15-20 minutes). Remember that you can spend multiple Pomodori in a single task if you didn’t finish it the first time. 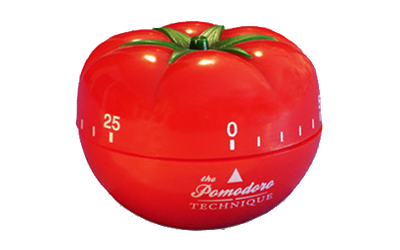 As for the timer, you can get a physical Kitchen timer in the shape of a Pomodoro (Tomato) or you can use an app for your computer or your phone. 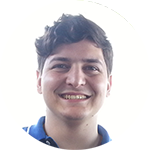 I’m currently using Marinara Timer as it is easy to set up and keeps tracks of all your pomodoro stints as well as provides the option to create your custom intervals or “Marinara”. There is also a computer application you can use which is called Tomighty, which is useful if you are working in a place where you don’t have internet access. As a final note, I want to point out that I am a person that gets distracted very easily and I hope that this technique will help me increase my productivity by focusing on the task at hand. In fact, I am currently running my first Pomorodo while writing this article and it’s working out great! I haven’t stopped working on it and I managed to write this whole post within 25 minutes, no interruptions whatsoever (though my phone has been buzzing like crazy! Sorry whoever it is, I’ll get back to you in my 5 minute break). I encourage everyone to try this technique at least once. It may not be for you, but you may also find that it helps your workflow like crazy! Hope this little bit of information proved to be useful.